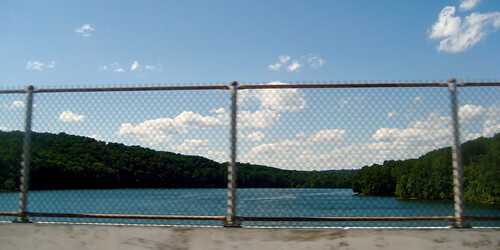 We drove over this lake going down Rt 146 (Dulaney Valley Rd). What an ugly chain link fence. Baltimore County, MD.